Instructions for filing a request conversion citizenship Thailand. Instructions for filing a request conversion citizenship Thailand Consideration of ways to obtain a Thai conversion citizenship The Minister of Interior are as follows Have been approved on July 9, 2544 has submitted a specification of a Thai request conversion citizenship below. 1. Adult and Thai law and legal persons are nationals. 2. Have good behavior will be split by the criminal history check, check procedure In politics, drugs, national security. And international arrest warrant. 3. A career as a proof (must have certificate of occupation or alien from the Division of Labor labor province. And must have income of no less than the criteria set) as follows. 3.1 case to have more work to be not less than 80,000 baht a month. Income Certificate from the employer or work. Income or loss. Individual applicant conversion citizenship year since. 100,000 Baht. And evidence of tax, then at least 3 years. 3.2 cases in the Kingdom of Thailand to reduce the humanitarian reasons such as marriage with a person A Thai or a child born in Thailand. Or graduate level Higher Education in Thailand must have income at least 30,000 baht per month and the tax authority, then no less than 3 years. 4. A known domicile in the Thai royal authority continued until the applicant is conversion citizenship Thailand not less than 5 years from the certificate received residence or the alien resident certificate or proof of registration to verify that a private domicile continued in the Kingdom of Thailand then not less than 5 years. 5. The knowledge of Thai language as prescribed in the Ministerial Regulations (speaking and listening,understanding Thai language) and must sing the Thai national anthem and his Prophet have to and needs to split from interview. 5.1 If the applicant has domicile in Bangkok through interviews from the Working Group considered consider a request conversion citizenship Thailand. 5.2 If the applicant is the domicile country. Through interviews by the Board level of public trust as a province The governor or deputy governor Province received head of Government and relevant provincial gendarme command as secretary. 6. The applicant must be qualified to vote by text combination. Combined total of no less than 50 points it will be considered. 7. 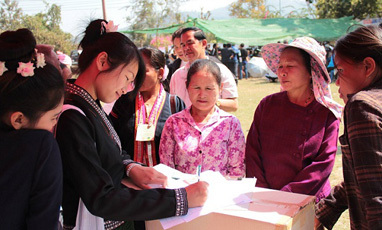 When the applicant is admitted to a Thai then conversion citizenship Ministry of interior to inform the ministry foreign Affairs to inform the country of the applicant. Related to the Thai. Evidence is required to submit a request conversion citizenship Thailand. 1. Warrants identification of the alien applicant (photocopying pages with 5 record set). 2. Warrants the filing of residence (photocopying 15 copies). 3. A work permit (1 photostat copies). 4. Photographs 2 * 2 inches (men entered a suit tied Tiger Nation author or Royal suite. Women's Apparel Ladies and gentlemen). 5. Copy of the family consists of the submission of the wife or husband and have children(if any)(5 photostat copies)(a filing, husband or wife and children if any). 6. Copy of marriage certificate of the applicant. If a foreign language translation to translate the Thai institutions translation certified by. 7. Proof of deposit from banks. Or certificate of deposit from banks. (Not less than 80,000 baht). 8. Proof of charitable donations (not less than 5,000 baht). 9. Proof of loss of the regular corporate income tax for the past 3 years revenue to ensure accurate copy. 10. Evidence of the applicant department stores such as running up the trade. Registration Panich Valley certificate of registration. Shareholder accounts. VAT (Pp. 20) and others (Each 1 photostat copies). 11. Tax entity (P.g.d. 50) 3 years back (if the applicant has equity in the company). 12. 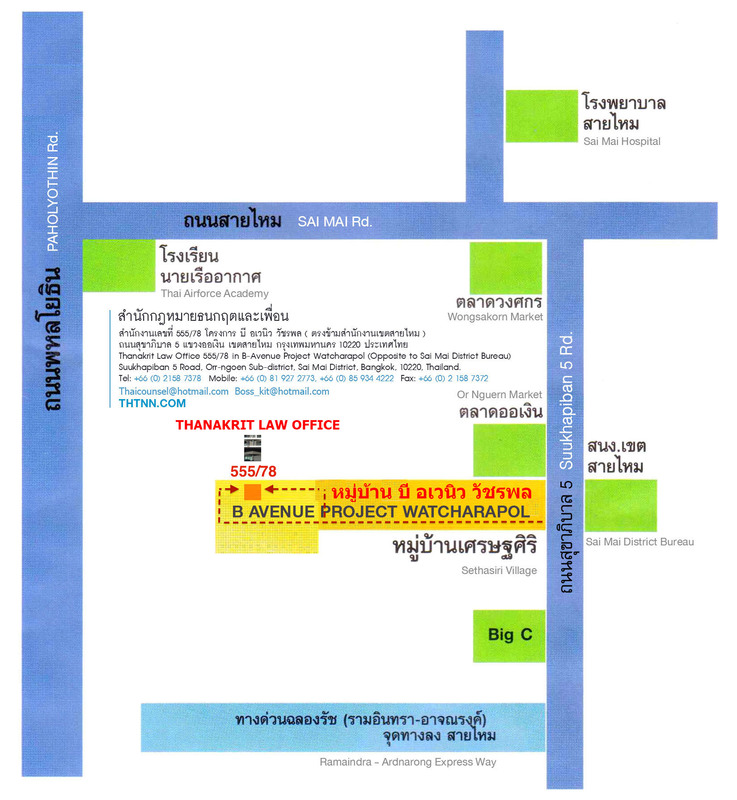 Certificate of work location. And salary rates issued by the company, department,local people have the running and signed by the authorized bind the company and the seal is important. 13. A copy of birth certificate or identification card. Or the alien resident certificate of spouse and every child. If the name change - cognomen to photocopying included. 14. Evidence of the applicant's education and every child's (if a foreign language is to translate the Thai). 15. A copy of identification card. And registration of certification (certified 2 people who shoot each 1 set). 16. Passport of the applicant (1 photostat copies). 17. Ragrag of adult books by the same laws of the country. That the applicant has citizenship. On the petition must be shown with the original document. The applicant must submit the request manually. The question to be approved by the mouth and the number 2 in the preparation fee payment requests Been paid by the number of 5,000 baht (five billion U.S. Only) The applicant atrophy at 1 Bk.ak.bch.s. .6 (conversion citizenship) Building 24. If the ground floor there is a problem or outage, please ask at Inquiries Tel: 0-2252-2708 Fax .0-2252-1714,0-2205-2970 and .0-2205-1901. Warning Do not be naive. Impersonating people to help. Or take any action. conversion citizenship you are Thai. The call money than the government set. If found notify the Department Director 6 note to pursue legal action following. *** We accept the cost of contact and coordination with government agencies, 70,000 baht (each case).